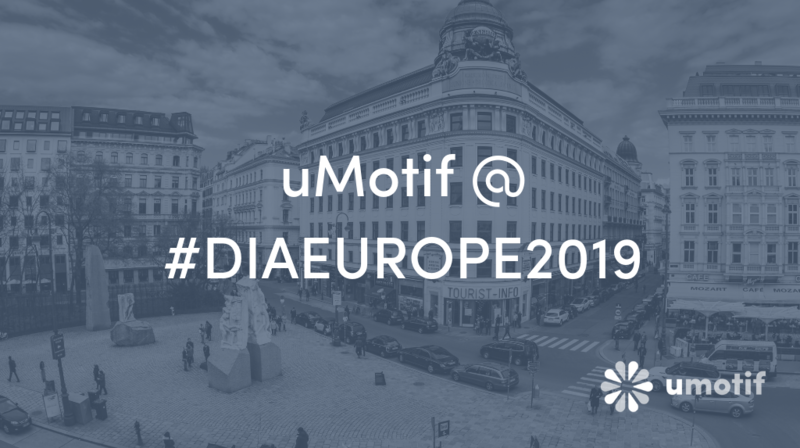 Meet the uMotif team at the DIA Europe 2019 conference in Vienna from 5-7 February. uMotif are delighted to be participating as exhibitors and speakers at the DIA Europe 2019 conference – a landmark event for life science professionals from across the entire drug development spectrum. We look forward to contributing to the discussion around real-world evidence and the value of patient engagement, reflected throughout the programme and specifically in the Patient Engagement Thought Stream. The team will be showing our uMotif platform in the exhibit hall – visit us at booth B18D to explore the data capture solution that patients love to use. Industry leader Peter Mol chairs this session and poses the question, 'How can the best of big data and the randomised clinical trial be integrated to support regulatory decision making?'. uMotif's Head of Market Strategy, Jonathan Moshinsky joins industry colleagues from Roche Products Ltd, Pharmalex and IBM to put their cases forward. This session is focused on the positive impacts of digital devices on improved patient experiences and retention in clinical trials. uMotif CEO and Co-Founder Bruce Hellman joins industry panellists from PAREXEL and the Norwegian University of Science and Technology to provide real-life examples. Meet Birant Osman and Lauren Ellis-Hill in the exhibit hall area at Booth B18D to find out more about uMotif and see the data capture platform in action.